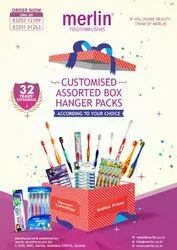 Toothbrush Customized Assorted Box Hanger Packs. 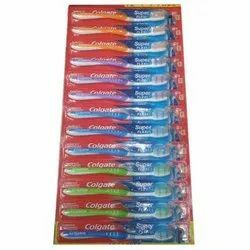 Taking quality as our principal concern, we are betrothed in presenting an excellent quality of Children Colgate Toothbrush. *Prevents germ build up on toothbrush . These bristles do not kill Germs in your mouth or protect you against disease. Colgate Extra Clean comes with a Power Tip that reaches and cleans the teeth at the back. It also has specialized bristles for Superior cleaning. Colgate ® Cibaca 1-2-3 with ZZ shaped bristles is designed to clean deep in between teeth.